The Firestone Vanhawk Winter offers superb control and efficient performance for vans and commercial vehicles in a wide variety of conditions. 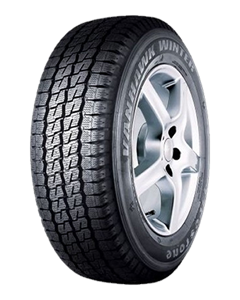 Solid performance tyre on compacted snow-and wet surfaces. Designed with a high amount of block and sipe edges which improve traction and braking on snow and wet. Also designed with a robust construction for ensured durability. Features low angle lateral grooves which enhance snow traction and braking. Sorry, we currently do not have any tyres with the Vanhawk Winter pattern in stock.